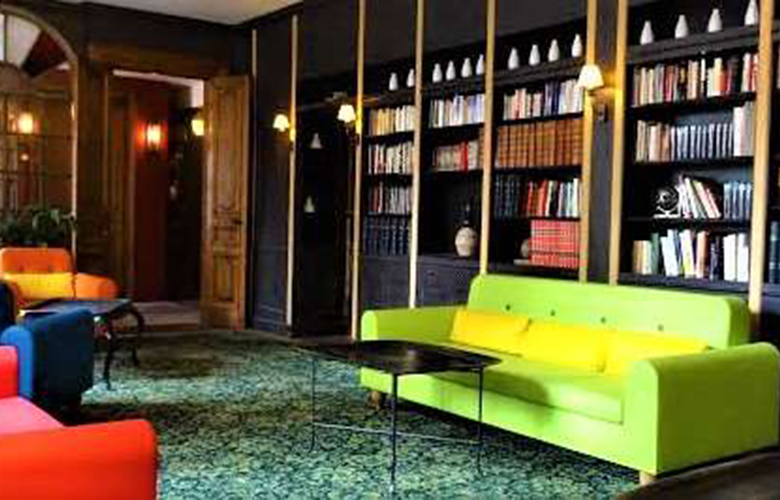 This hotel is located in the heart of the historical Paris. With 51 large bedrooms and pleasant lounges and salons in a fine four floor building, the hotel offers great comfort and coziness. The interior decoration style is charming and very unique, with an elegant mix of fine furniture, polished wood, antiques and chandeliers. 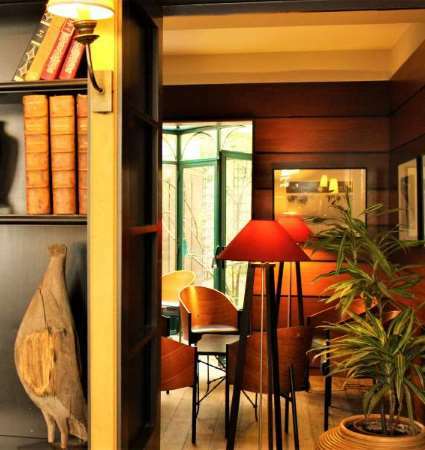 Classicism and romanticism of the Haussmannian Paris meet a warm and cosy environment. 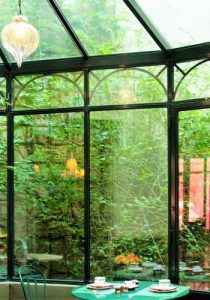 With 51 rooms, the Relais Monceau offers numerous and large common areas, as so many invitations to take time, enjoy life, unexpected encounters, before or after a business meeting or a shopping surge on les Grands Boulevards ! Whether it is in the Salon Chinois on the courtyard side, or in the Salon Bibliothèque, in the bar for a coffee Nespresso, or in the large Salon Zuber, everyone surprises her/himself to slow down, take the time to enjoy the little things that makes life beautiful and exciting. As soon as you enter the hotel, you will feel like you are in a private home with a unique feel to it! The front desk staff on the ground floor will welcome you and assist you in any ways they can 24/7. This charming hotel offers high quality rooms, a cozy bar, a club style library as well as several salons and reception rooms to host your reunions, conferences and/or business meetings. 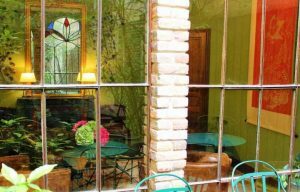 The hotel’s very central location in the heart of Paris ensures that you can take full advantage of staying in a prestigious historical neighborhood. Just nearby are a number of major tourist sites as well as a large choice of luxury stores. Reserve now for your next trip to Paris! As the title says the hotel in one of the best kept secrets in town. The location is simply fantastic in the best neighborhood of Paris. Everything is close (metro/bus stations, restaurants and brasseries, Monceau park). The hotel is a boutique hotel, very clean with nice and quite rooms. The breakfast is excellent and all personnel professional willing to assist you. Extra thanks to Murielle and Audrey for their help and arrangements. I stayed here with a friend who was visiting from Australia. 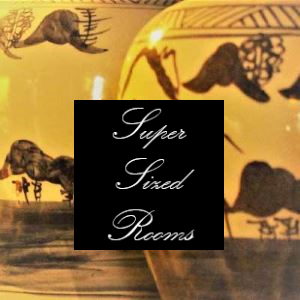 The staff could not have been more helpful and the room was really comfortable. The hotel is in a fantastic location and we could walk almost anywhere we wanted to go in less than 30 minutes. 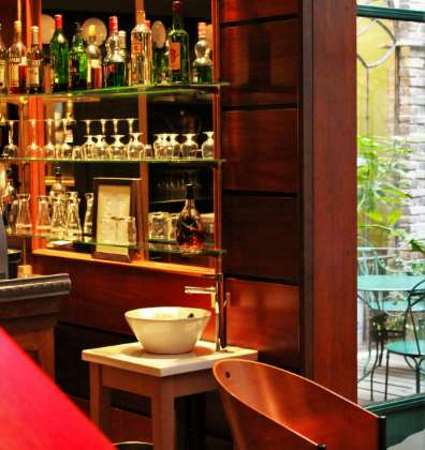 The Relais Monceau hotel staff is on hand and ready to serve you 24 hours a day, 7 days a week. You will be welcomed like an honored guest in a private home. Our front desk staff is there to give you a personalized welcome, to look after you and to assist you no matter what time you arrive day or night. Please rest assured that we will do our utmost to help you organize and enjoy your stay with us in Paris, before you arrive and after you leave. We can offer you with advices on museums and sights to visit as well as conditions (the Eiffel Tower, Notre Dame Cathedral, the Sacré-Cœur church, the Louvre museum, the Champs Elysées, Concorde….as well as less well-known sights), we will help organize your travel arrangements, your dinner reservations and tickets for shows. Do feel free to contact us! 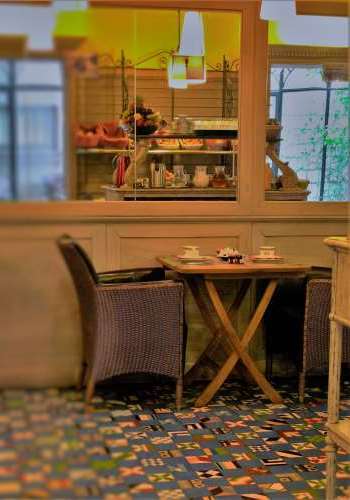 The breakfast room has a very pleasant atmosphere to it ! 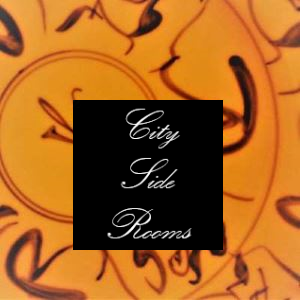 • The third area faces the street and is paved with old-fashioned terracotta tiles and lit with exquisite chandeliers with colorful pendants created by Merry Crystal, a British artist based in France. Breakfast is served between 7am and 10:30am (16€ per person, free for children under 12). 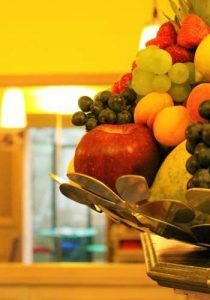 Breakfast is served at your convenience in either your room or in the breakfast room. 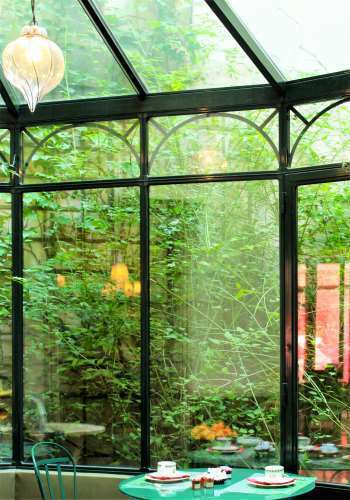 “I visit Paris very often for business trips and Relais Monceau is always my first choice. 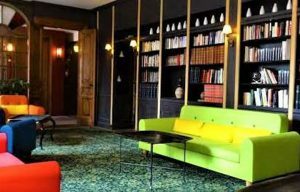 Guests at the Hotel Relais Monceau can choose to seat at the bar, the library lounge and two other salons and enjoy a moment of relaxation and conviviality in the center of Paris. Some areas can also be privatized for special events and/or business meetings. 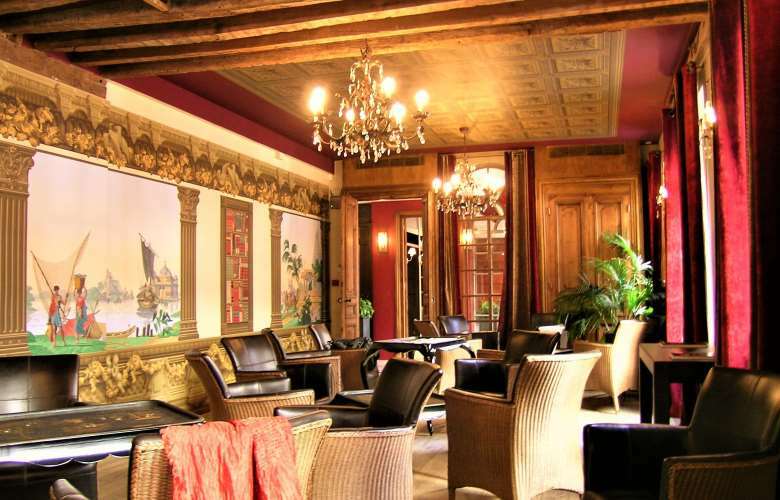 The Salon Zuber is a majestic room with solid oak parquet floors, wood beams and painted ceiling. The masterpiece of this room is the hand-made wallpaper manufactured by Zuber, a company that dates back to the 18th century. These panels are created using the original wooden blocks that have been classified as a ‘French Historical Monument’. You may find a similar Zuber wallpaper in the Ambassador’s Room at the White House in Washington DC. 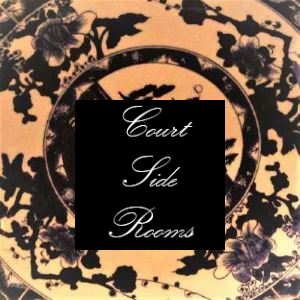 A little off to the other side, the confidential Salon Chinois opens up onto a small garden. 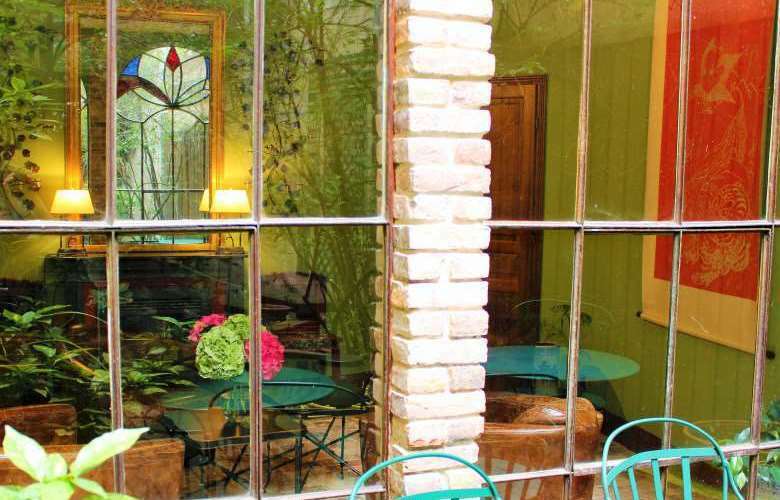 Here you will find antique bricks and ironwork along with some 19th century colored glass. On the floor, the marvelous 18th century pink tiles echoes the originality of the ceiling decorated with white and blue antique Chinese porcelain plates. 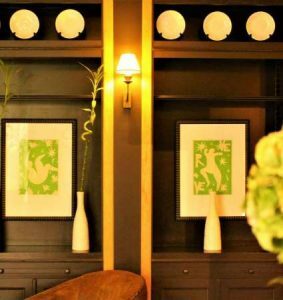 A golden pillar above the fire place, antique Chinese furniture and some engravings, are all part of the interior design trend launched by Victor Hugo. The hotel bar has a central and yet discreet place among the salons. 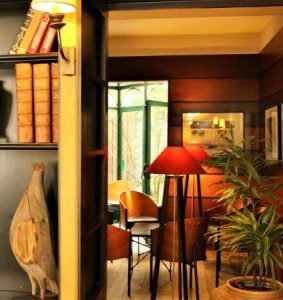 Its warm and cozy feel is built around a real café bar counter dating back from the 1930’s, surrounded by ‘Costes’ armchairs and ‘Miss Ballu’ round tables designed by Philippe Stark. 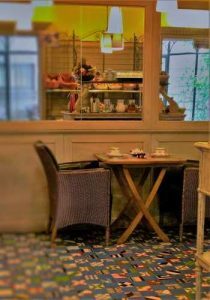 In the library area, you will find stylish low tables designed by ‘Mise En Demeure’ as well as old leather club chairs – ideal for a quiet business discussion or for relaxing with the newspapers or a book. On sunny days you can take advantage of the calm and cool of the garden, enjoying the comfort of the ‘Louvre’ chairs and tables designed by FERMOB while enjoying a drink or a coffee by Nespresso, What Else ! We would be delighted to organize your early evening events, such as a cocktail party after a day of meetings with your work colleagues or a celebration with your friends and family and others !